Want to eat a restaurant-style salad at home? 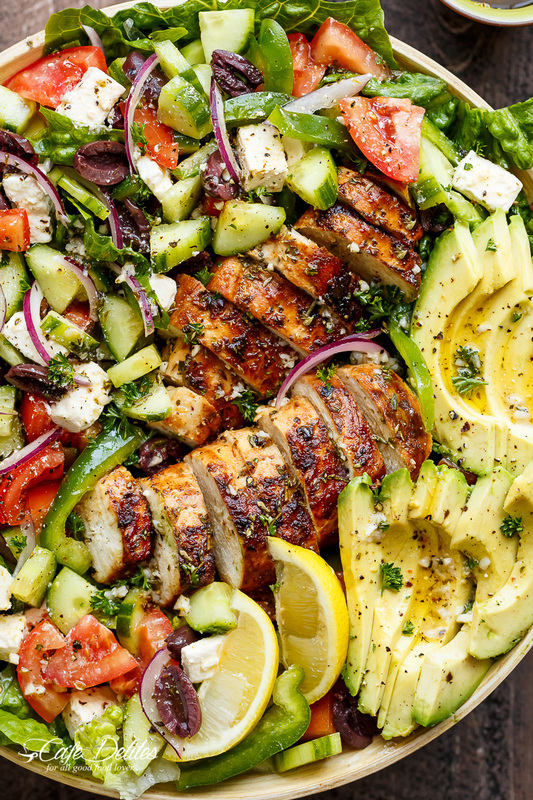 This Greek Chicken Salad is packed full of flavor and easily meets the goal of making half your plate veggies with the lettuce, tomatoes, and cucumbers. Take your oven to a vacation. Plan some healthy diet meals that don't require cooking and refreshingly easy recipes for when it’s too hot to cook. In a medium bowl, mix together all salad ingredients except the pita chips. 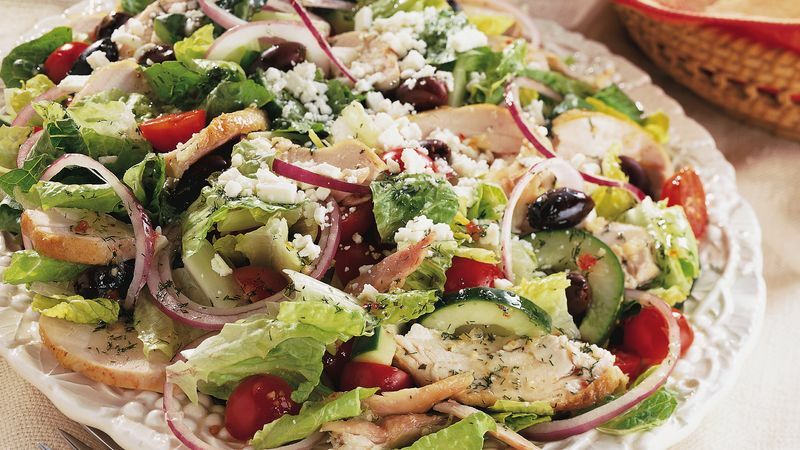 Enjoy the pita chips on the side or break into bits and sprinkle over your salad for added crunch. Dietitian Tip: The chicken in this recipe provides a lean meat/protein source. Pick up a rotisserie chicken from your local grocery store deli for a real time-saver. DIY: Try making your own pita chips! Use 1 whole wheat pita (6 1/2" diameter or about 2 oz). Cut the pita in half and cut then each half into quarters. Separate each piece for a total of 16. Place on rimmed baking sheet and spray lightly with olive oil nonstick spray. Turn over each piece and spray the other side. Bake at 375 degrees F for about 10 minutes or until crisp. What's your favorite no-cook meals? Let us know what I should try eating without cooking at all.